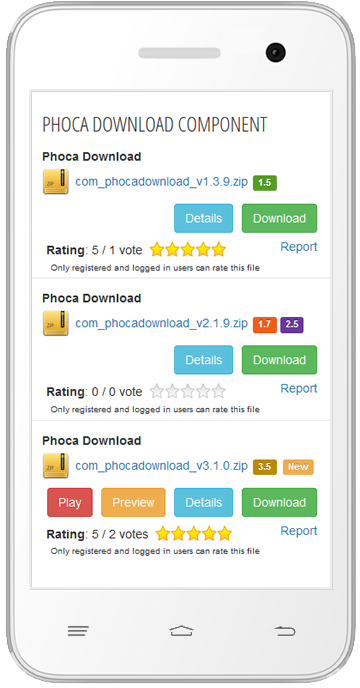 Phoca Download is download manager for Joomla! CMS. It includes component, modules and plugins and allows displaying files on website which can be downloaded (previewed, played) by website visitiors. PHP 4, PHP 5 (or any later version) - see Joomla! requirements for each version. You can use Phoca Download Plugin for adding links to downloadable files in article and you can use Phoca Download modules to display sections, categories and statistics of downloaded files in module positions.